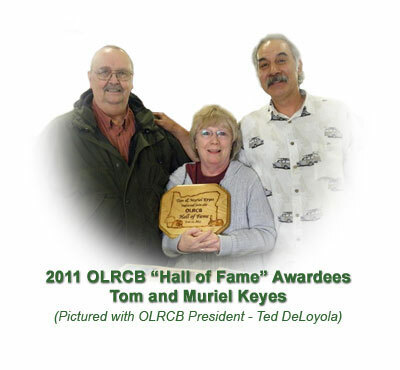 Beginning in 2005, the Oregon League of Rabbit and Cavy Breeders instituted the "Hall of Fame" Service Award to be awarded at the annual League Banquet in conjunction with the OLRCB State Shows and Convention. Following are the guidelines for nomination and selection of "Hall of Fame" awardees. Committee shall include OLRCB Vice President, one current OLRCB Board member appointed by OLRCB President and three (3) members in good standing appointed by OLRCB President. Committee may consider more than one candidate at a time. All candidates will be afforded confidential and respectful consideration by the Selection Committee. Ten (10) years continuous membership in good standing. No fewer than six (6) testimonials from members having no less than five (5) years continuous membership in good standing. One (1) testimonial from an affiliated club in good standing. Candidates will be considered by the Selection Committee who will then pass their recommendation on to OLRCB Board of Directors for consideration. All members of the Board must participate in decision. Nomination forms are due to the OLRCB selection committee by April 15 of the current year.